How Efficiently Are You Managing Your Data? How Much Time Are You Spending Crunching Your SPC Metrics? Often overcoming some of your biggest challenges depends on how accessible your data is. Taking time to sort through mountains of data in multiple formats to identify issues can result in some glaring inefficiencies that can really cost your organization. Thankfully DCS has created software to effortlessly address these and other data-related challenges. Find yourself using the same functions over and over? Create a toolbar with those specific functions for quick access and faster modeling. Tired of moving from Assembly Design in CATIA to 3DCS and back? Looking to consolidate your tools together for ease of use? 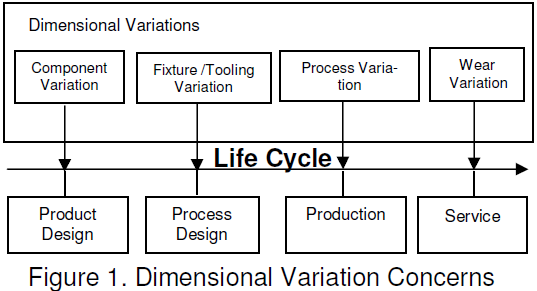 Manufacturers are continuing to apply dimensional analysis more and more across the product life cycle. These days, manufacturers are looking at dimensional variation analysis as a primary tool in gaining competitive advantages for managing manufacturing costs and quality. With profit margins getting smaller, and competition getting bigger, companies use dimensional analysis to support lean manufacturing processes in order to reduce waste, scrap and warranty issues caused by non-conformances, variation and unexpected assembly defects. This is letting companies effectively increase profits by simply improving current processes and reducing costs that have historically been considered sunk.